Aileen McLeish has been Chairman of Ashford and St. Peter’s Hospitals since October 2008 and was a Non-executive Director of the Trust for four years before that. She announced in March that she would be standing down at the end of August. She graduated from Girton College, Cambridge with a degree in Mechanical Sciences and during her career Aileen has worked at Unilever and Heinz in the UK where she became Group Financial Controller. She then left big business and became Director of Finance at Historic Royal Palaces followed by a move to WWF-UK as Director of Resources. She is a Fellow of the Royal Society of Arts and a Fellow of the Institute of Directors, as well as a Fellow of the Chartered Institute of Management Accountants. 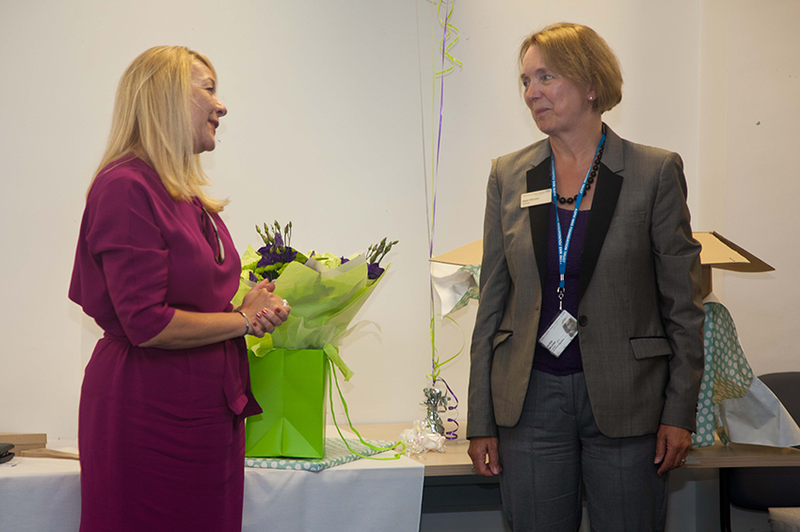 At her farewell presentation and lunch, to which all staff and volunteers were invited, Consultant Surgeon Humphrey Scott repeated the words he used at the staff awards ceremony earlier in the year when he presented Aileen with the Outstanding Achievement to the NHS award.